Welcome to the Hearth and Soul Hop #32!! Hello friends - I know I have been absent for what seems like forever - my computer and my internet access have been fighting - LOL hopefully they are now back on good terms! I am looking forward to another great Hop - from the comfort of my home (instead of the barn). 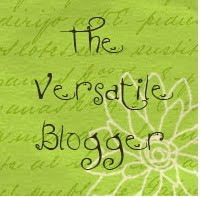 We always have the greatest linkups - be sure to check out some of the other great bloggers who share with us each week! Take a few minutes to read our mission and the "rules" if you haven't in awhile - lots of thought and love went into making them. 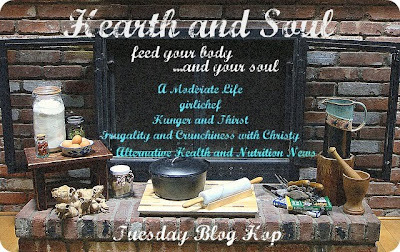 The hop has become my favorite place to find new recipes and to share in all the lovely stories that come from your hearth and soul! Thank you for letting me have a peak into your kitchen. Food from your hearth, to feed your soul. Food that follows your intuition. Preparing food from scratch to nourish your family…body, mind AND soul! Food made with your own hands…infused with energy and passion and intent. Real food made by real people to feed real families (big and small, in blood or spirit). Ingredients from scratch, be it something grown in your garden or raised on your land…food foraged in the field or woods…food from local farms, farmers, or farmers markets…or even ingredients chosen by you from your local market that will be turned into something that feeds your soul. Tapping the food memory that each of us has stored inside; letting it guide and influence our own time in the kitchen. The warm comfort of the home hearth…stories, anecdotes, lessons, adventures, journeys, recipes, meals, beverages…we want to share the “why” of how food feeds more than just our bodies…how it also feeds our souls. After all, aren’t these the essential ingredients in defining real food? 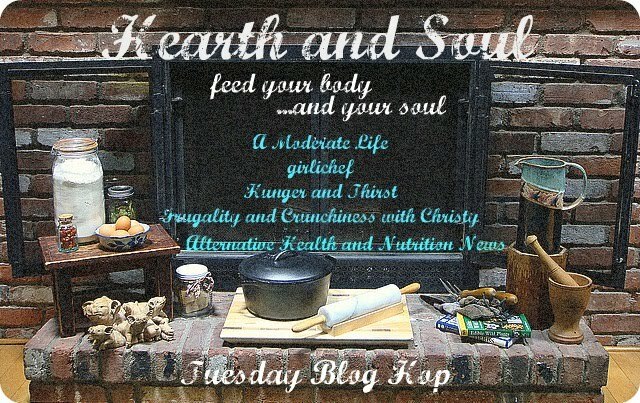 Please share links from your Hearth and Soul Hop with us each week. * Each time you link to the hop, you will get exposure over 5 blogs and receive feedback in the way of a high quality comment on your linked post, because this is personal for us…we want you to know that we appreciate that you’ve taken the time to create a post, add a link back to the hop, and add your link! We’ll be sure to acknowledge this with a comment and a tweet on Twitter (using hashtag #hsoul). -One link per week, please-Must include a link back to one/any of the host sites (through worded link or badge) in individual post, not on sidebar…although we love having links on your page, as well (this benefits all of us). You will be sent a gentle reminder if no link is added to your post, we understand that sometimes people forget…but if it becomes a regular occurrence, (even though we don’t like to do it) your post may be removed. It’s just not fair to those who do take the time and show the grace to link back. -Try to link a post that you think fits into the mission. You don’t have to link up every week…link up when you can. We welcome posts that are shared in other events. If you have an older, archived post that you want to add, we welcome that…as long as you go in and add a link back to Hearth and Soul. Linky will stay open from 10 pm Monday to 11:59 pm Wednesday (Eastern time). 21. Tex Mex Quinoa Loco at a moderate life! 44. Idiyappam. . . Homemade rice noodles. 81. Real Food Fiesta- Real Food Mexican Dishes! Hi Christy! There are some great looking recipes on the hop today - I can't wait to go visiting! Thank you for co-hosting!! thank you for hosting! i linked up bangers and mash...i see lots of great recipes this week. So glad you're back Christy! We missed you!